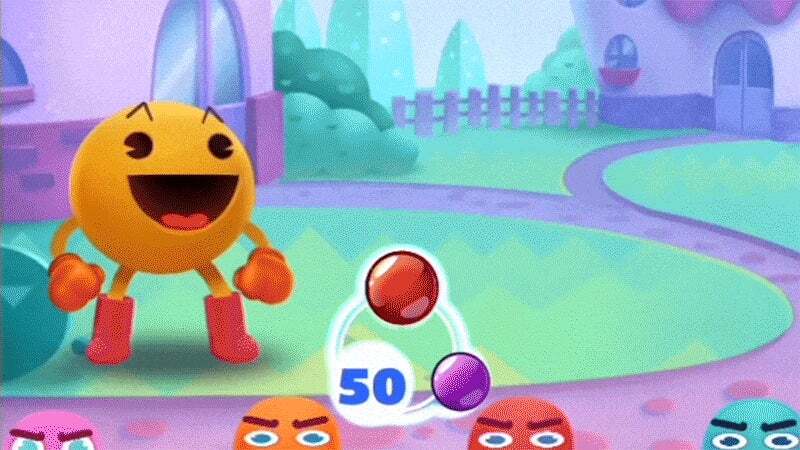 Giving one of the world's most iconic video game characters a makeover for his latest mobile game, Bandai Namco have created a Pac-Man that really works with today's more minimalist cartoon sensibilities. Or he's just really damn cute. 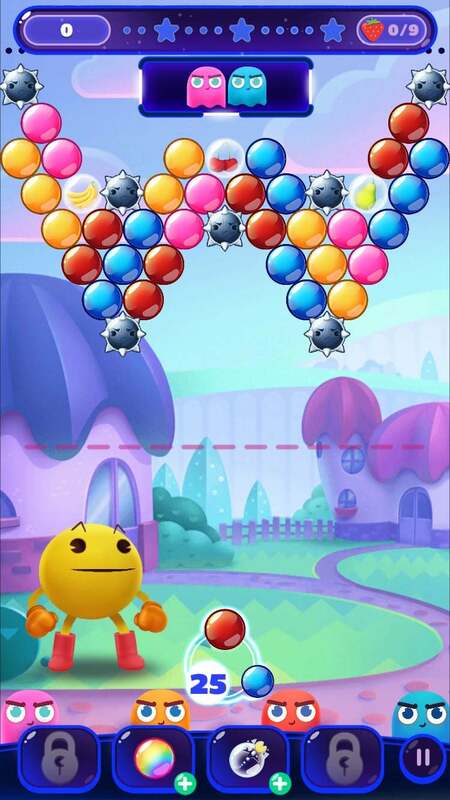 The game is Pac-Man Pop, available today on iOS and Android, which is a free-to-play bubble shooter that's become commonplace since Bubble Witch Saga started channeling Bust-A-Move years ago. 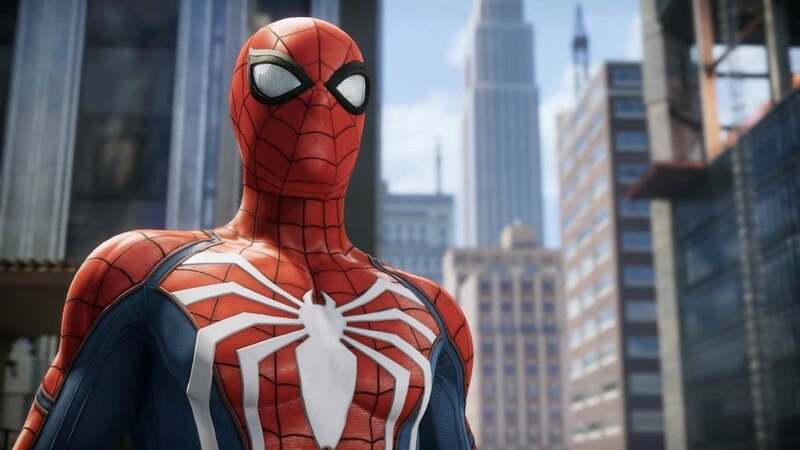 I love this sort of game, as long as they're done with style. This is style. 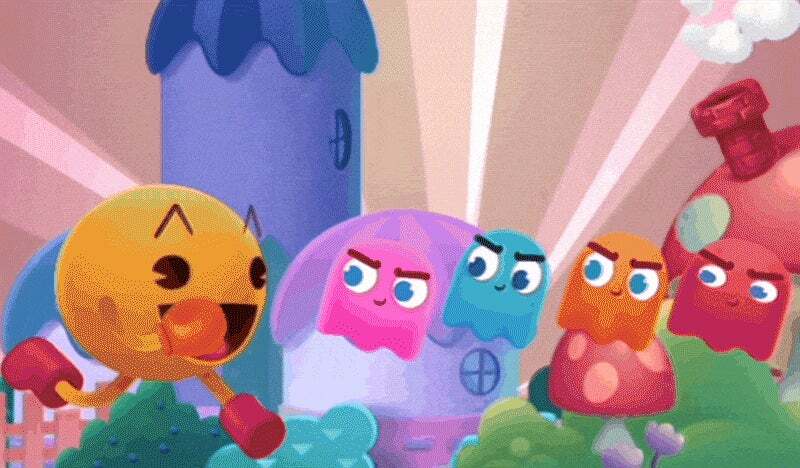 I can easily imagine this version of Pac-Man showing up in the background of an Adventure Time episode. He'd be great in a fan animation that starts off as just a riff on the arcade game but turns absurdly violent. I think I love him. 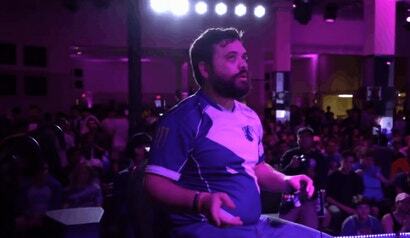 As for the game, it's worth it just to watch Pac-Man play. Go home Namco you're drunk. "Bandai Namco have created a Pac-Man that really works with today’s more minimalist cartoon sensibilities"
When your character is a yellow pie chart, you can't really get any more minimal. The new design is positively photorealistic in comparison.